North Carolina announced Thursday afternoon that Larry Fedora will be the Tar Heels' new head football coach. 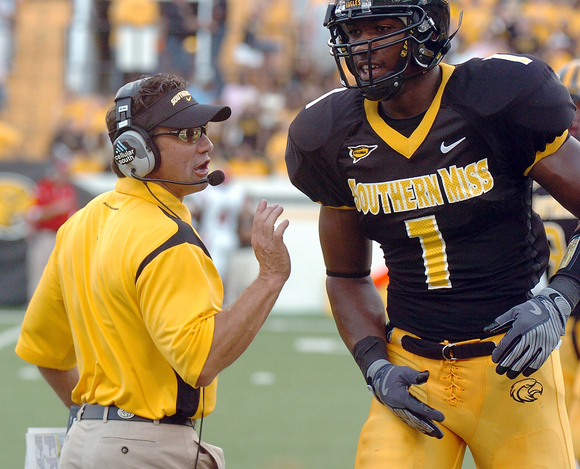 Fedora, 49, comes to UNC after four years at Southern Mississippi, where he guided the Golden Eagles to the Conference USA championship this season. Word leaked Wednesday that Fedora's hiring was imminent. It will become finalized after UNC's board of trustees gives its final approval in a meeting that will begin today at 9 a.m.
A news conference formally introducing Fedora as the Tar Heels' coach is scheduled for 1 p.m. in the Concourse Club at the Loudermilk Center, which is attached to Kenan Stadium. The event will be open to the public. On Thursday, both the UNC-CH Board of Trustees and the university system's board of governors gathered in separate meetings behind closed doors. They formally discussed hiring Fedora at the meetings, which both lasted about an hour, and adjourned without debate.